A “dram shop” can refer to any business or social host who sells or provides alcohol. In Pennsylvania, there are specific dram shop statutes which define when a business or social host may be held liable for irresponsible or unlawful serving of alcohol. If you or a loved one has been injured by in a drunk driving accident or other accident involving a drunk individual which led to serious injury, dram shop law may be a factor in finding fault. 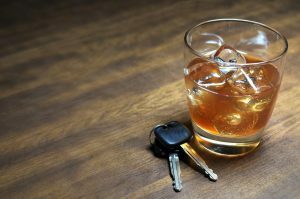 The personal injury lawyers of Kamensky, Cohen & Riechelson have extensive experience representing clients injured by drunk drivers as a result of dram shop violations in Pennsylvania towns like Levittown, Northeast Philadelphia, Feasterville, Penndel, Bensalem, Millbrook and the greater Bucks County area. Dram shop regulations can be complex legal matters pertaining to your personal injury claim. Lean on our knowledge of Pennsylvania dram shop law to seek fair and full compensation for you injuries. Call our office today for a free and confidential consultation regarding your accident stemming from a dram shop violation and to learn more about how we can best assist with your personal injury claim. It is also unlawful for social hosts to knowingly serve individuals under the age of 21. However, in social situations, it is not the fault of the host if an individual 21 or older becomes intoxicated and causes injury or property damage due to drunk driving. As there are several different ways for dram shop law to effect personal injury claims, here is a common example which may clarify how and when our Buck County attorneys use dram shop regulations to find fault. Person X is visibly intoxicated at Paddy’s Pub. The bartender at Paddy’s Pub has seen Person X slurring their speech and generally acting drunk for some time. When Person X orders a drink, the bartender serves Person X. Person X later leaves the bar and drives home. On their way home, Person X gets into an auto accident with Person Y, causing injury to both parties. In this case, Person Y would have cause to find both Person X and Paddy’s Pub liable for their injuries. Person X may be held liable for acting both negligently and recklessly by driving drunk. Paddy’s Pub was in direct violation of PA dram shop laws and can be held liable. It is important to note that while many dram shop incidents involve drunk driving, any incident which leads to injury or property damage as a result of illegally providing alcohol may fall under dram shop statutes. If you or a loved one has been the victim of an accident involving a drunk individual, it can be an extremely frustrating situation. When that individual was illegally served alcohol by a social host or alcohol vendor, that can only add to that sense of frustration. The good news is that our Bensalem personal injury attorneys may be able to find both parties liable and recover full and fair compensation for your injuries. At The Law Office of Kamensky, Cohen & Riechelson, our dram shop attorneys have experience recovering compensation for our Pennsylvania clients across towns like Levittown, Northeast Philadelphia, Bensalem, Millbrook, Penndel, Feasterville and all of Bucks County. No one wants to be injured, but we will do everything we can to try and secure your family’s financial future. Contact us online or over the phone by calling (215) 337-4915 to speak with a member of our personal injury legal team at our Bensalem offices. We will be standing by to discuss your accident and injuries relating to drunk driving or dram shop violations in a free and confidential consultation today.